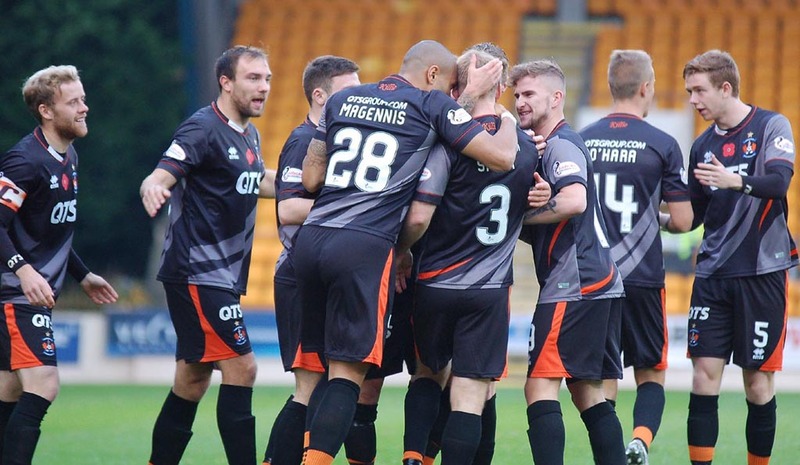 Jamie MacDonald, Steven Smith , Stuart Findlay, Rory McKenzie [c], Kalum Higginbotham (Kris Boyd 71), Mark O'Hara, Craig Slater (Dale Carrick 84), Kevin McHattie, Greg Kiltie (Tope Obadeyi 64), Conrad Balatoni, Josh Magennis . Subs Not Used: Mark Ridgers, Jamie Hamill, Scott Robinson, Lee Ashcroft. Two weeks ago Killie fans headed to Tayside and Dundee on what turned out to be a beautiful and enjoyable autumn day; the trip back to the other city on the River Tay turned out to be an entirely different experience! Awful weather for most of the journey meant the pitch had clearly had a real soaking and the car radio told of other games being called off. 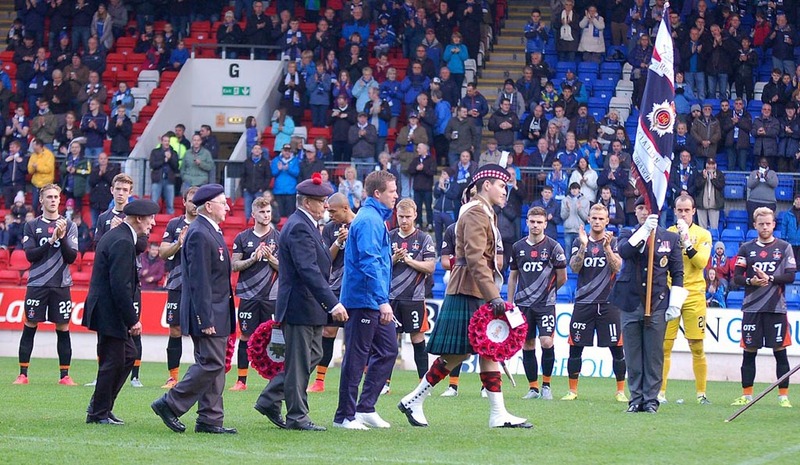 Very fitting and apt Remembrance proceedings were impeccably observed by both sets of fans. Looking back now I actually think the members of the official party did well to stay on their feet walking on and off park as players (particularly St Johnstone ones!) certainly struggled to cope with the slippery conditions. 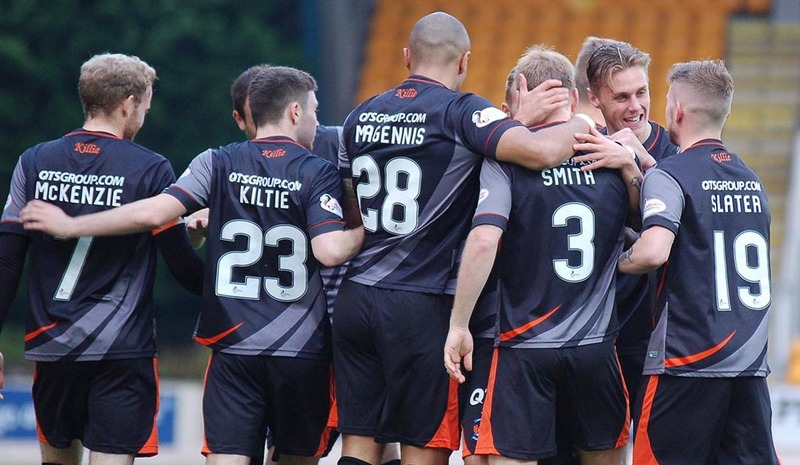 It was to be a dream start for the Killie players and fans when, within two minutes of the kick-off, the ball was worked cleverly on from captain Rory McKenzie to Kallum Higginbotham on the right and his excellent cross was headed powerfully home (via the crossbar) by Steven Smith! The build up play to that goal and also the subsequent equaliser from the Perth side were two of the brighter spots in a first half which was just like the weather- fairly dull and dreich. 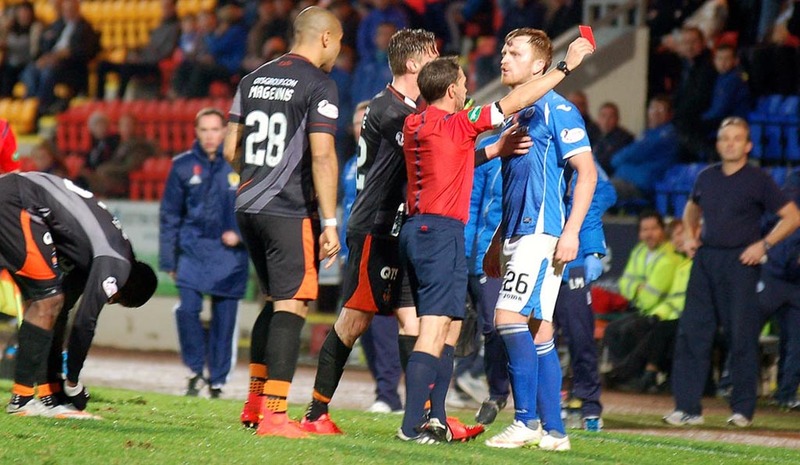 Killie seemed to give away a series of free kicks for fairly innocuous fouls with one or two Saints players struggling to stay upright; Saints midfielder Darnell Fisher was especially infuriating to the travelling support. St Johnstone seemed a little off the pace in the opening period and Josh Magennis fired narrowly wide from outside the area. Saints suffered another blow when striker Graham Cummins pulled up with a hamstring injury and had to be replaced by Kane. 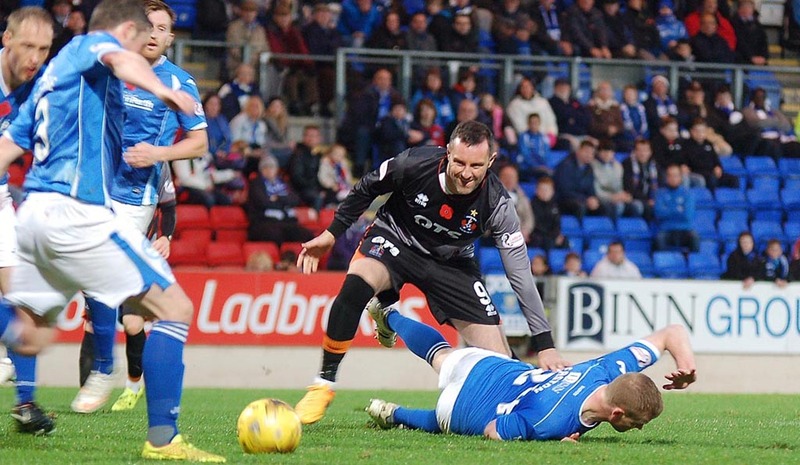 Gradually the home side edged more into the game and were rewarded by the efforts of their experienced striker Steven MacLean. He had gathered in the inside left channel (sorry for using old fashioned terms) and appeared to delay too long as the defence streamed back into position. 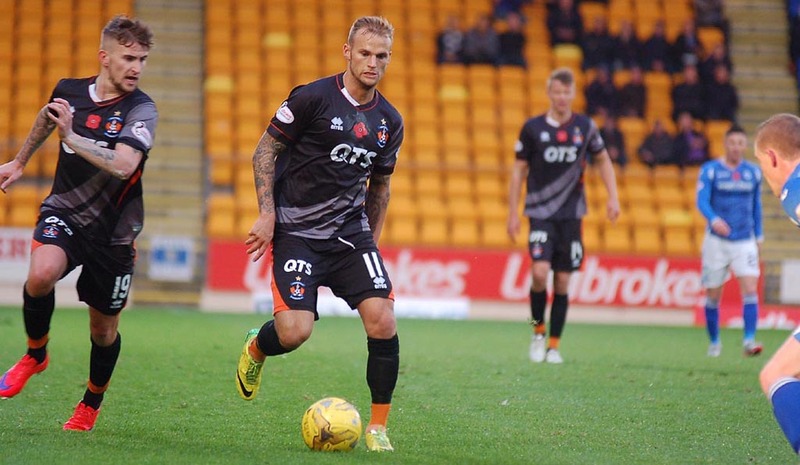 It paid off though when he met Kane's return ball, drew the yellow clad Jamie MacDonald, and rather than blast from close range he laid the ball off to the better positioned O'Halloran to shoot home from close range through a body of Killie players. All square and neither goalie had really had a save to make. The impressive and menacing O’Halloran nearly doubled his tally just before the interval as he curled just over after MacLean had held off a couple of Killie defenders. 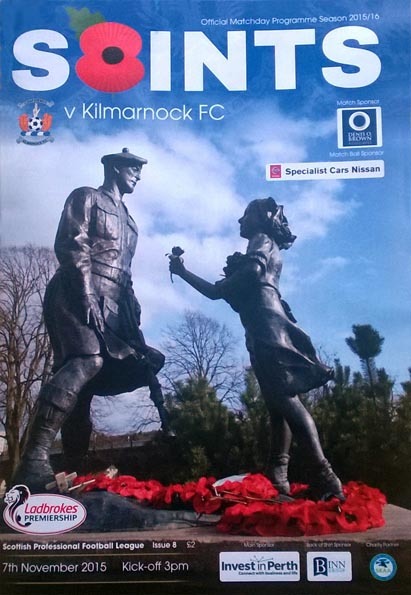 Two Killie players had been booked in the first half by the ever fussy Crawford Allan- Smith for a robust challenge and Greg Kiltie for not retreating 10 yards at a free kick. Some Killie fans have felt the side struggled in certain games in the first 10 minutes of the second half and that was to be the case in Perth. Three minutes after the restart, Mark O’Hara almost had the ball in his own net, as a powerful drive was deflected wide by the young defender. A section of the home support were on their feet cheering as they thought it was a spectacular own goal. 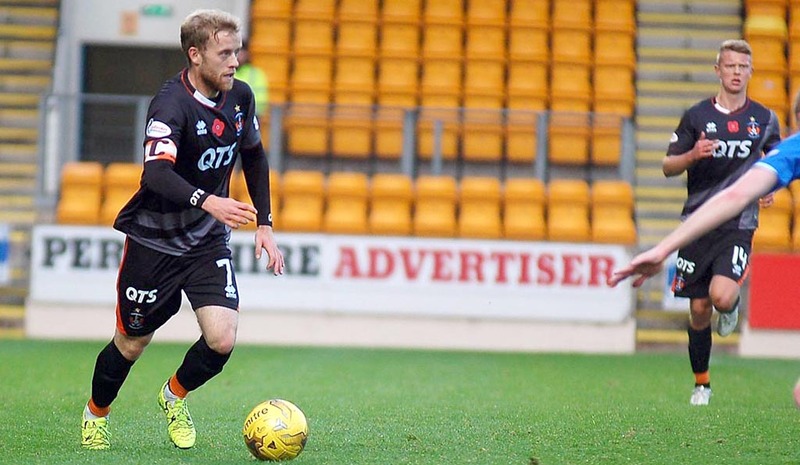 However, they didn't have to wait long to cheer another goal - from the resultant corner the ball was poorly cleared, perseverance from Wotherspoon out wide going past both McKenzie and O'Hara saw the ball fall to sub Chris Kane who slammed in his first goal at McDiarmid Park. The second half was more entertaining than the first and Josh Magennis was next to try his luck with an acrobatic effort from close range which was comfortably held by Mannus. On 55 minutes, O’Halloran came close again, as after a driving run, he stumbled in the box and lashed over MacDonald’s bar. 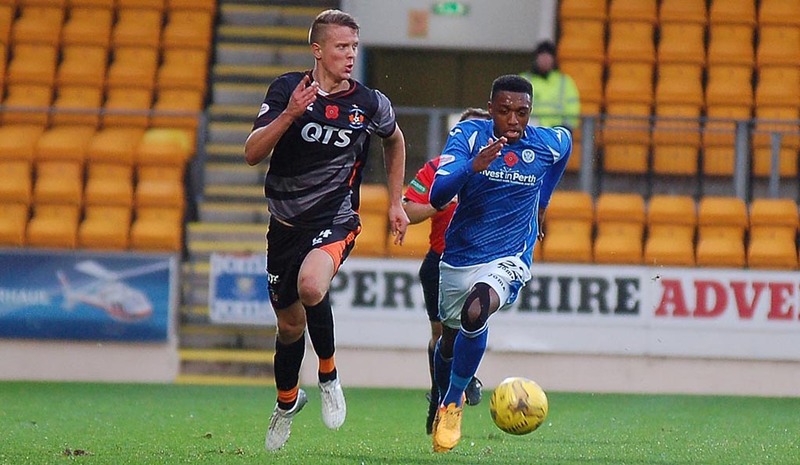 The alarm clock then went off in the Killie dugout around 60 minutes to remind the coaching staff it would be time to replace Greg Kiltie with the enigma that is Tope Obedayi. Tope clearly frustrates at times but his pace and power does un-nerve tiring defenders. Sadly I had to listen to a fellow Killie "fan" berate and abuse the Killie sub's every move - just as he had done last season at Fir Park. I really wonder why someone travels and pays money to constantly abuse a player in their own side? 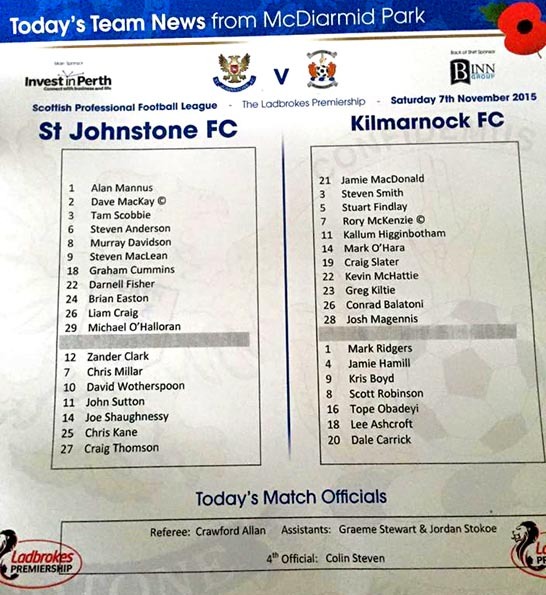 Kilmarnock’s second switch was to replace Kallum Higginbotham with the prodigal Kris Boyd on 71 minutes. That change was booed by many travelling fans as they clearly felt Higgy could be our main creative spark. 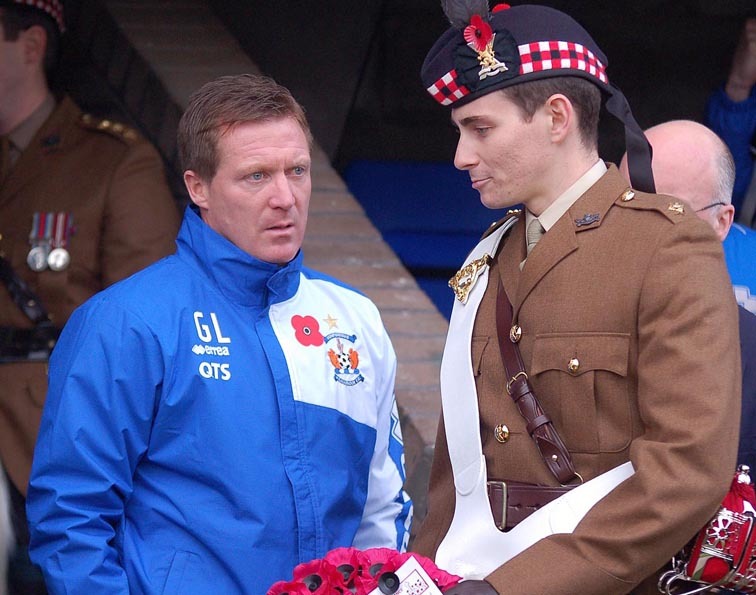 The plan from Gary Locke was clearly attack....attack...attack. To the surprise of a few Killie supporters it wasn’t long before the former Rangers striker was making a difference, as his flicked volley flew over Mannus’s bar before the goalkeeper had time to react. In the last ten minutes, Mannus then did well to parry a Slater piledriver, before the youngster was replaced by Dale Carrick. 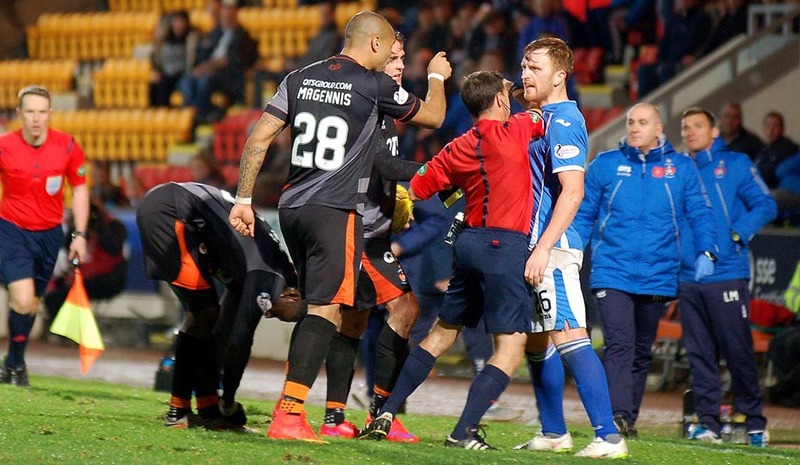 Controversy came at the end when Liam Craig was sent off for a strong two footed challenge, despite perhaps winning the ball. Much to the annoyance of the travelling support, referee Allan delayed the subsequent free kick to allow Shaughnessy to be brought on for goalscorer O’Halloran to help the home side grind out the result. In injury time Mannus pulled off a fine save from Carrick to round off a frustrating afternoon for Killie and their fans after such a wonderful start. Gary Locke: "It was very similar to last week, we got the goal ahead, played some great stuff and certainly felt we looked the better team. We created a few chances, didn't take them and that was the difference between the two sides. 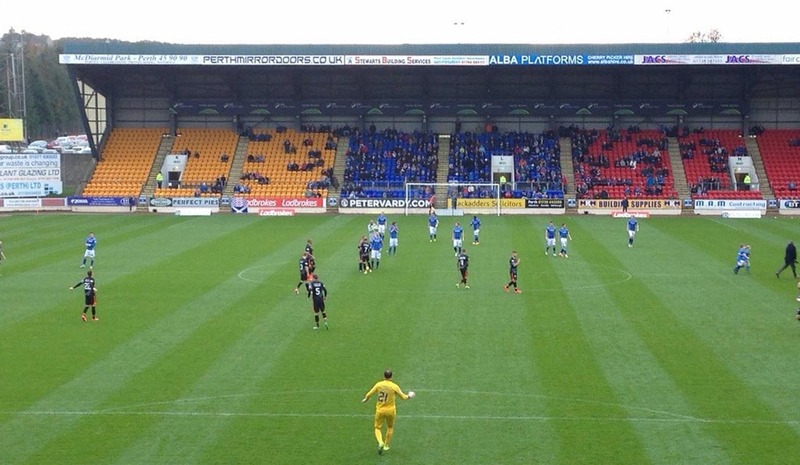 St Johnstone get a couple of chances and were clinical. 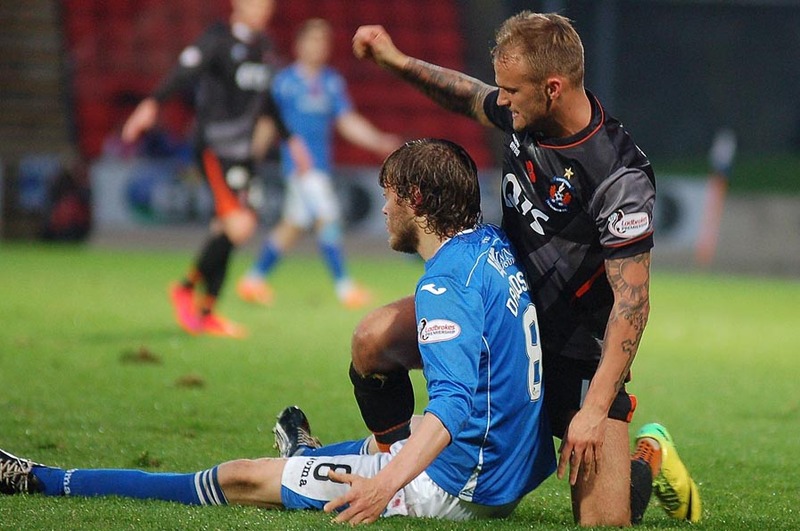 St Johnstone are a team flying at the moment and we've more than matched them. I felt we were the better side, especially first half, but we've got to be more clinical. The work-rate and endeavour is there. We got a bit of praise the last couple of weeks because we had been winning games and playing well. 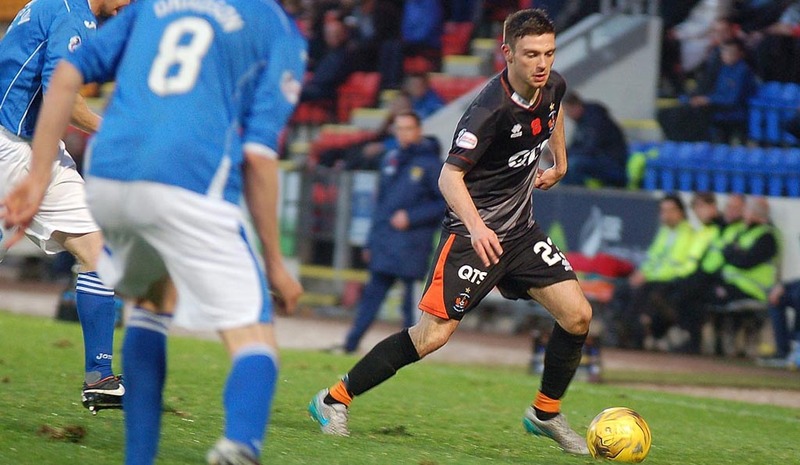 I still feel we've played well in the last two games, we've just not had that wee bit of luck you need."